By Caz | April 18, 2019 | This post may contain affiliate links, which means we may receive a small commission, at no cost to you, if you make a purchase through a link. Read our Disclosure. Rich forests, rugged cliffs, archipelago, volcanoes, tropical weather on one island, snowfall on another, my research was leading me to the conclusion that the Canary Islands would make a great holiday destination. The Canary Islands is a Spanish archipelago located just off the northwest coast of mainland Africa, 100 km west of the border between Morocco and the Western Sahara. The islands were formed by ancient volcanoes and shaped by the winds from the Sahara desert. The Canary Islands were on my bucket list when I was living in London. 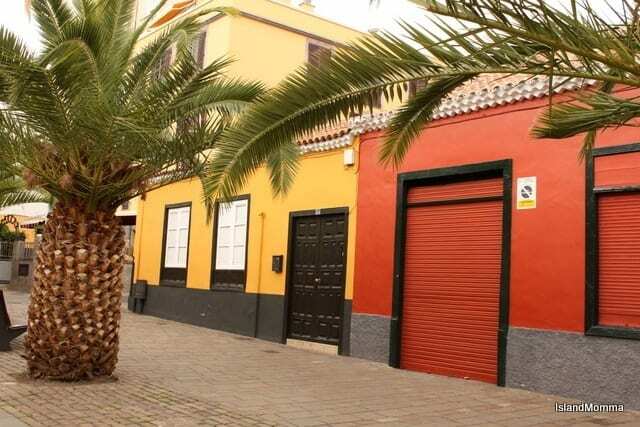 Tenerife is a hot destination for Pommies running from the horrors of English weather to soak up the sun and party. I never made it much further than San Fermin. I blame it on the Sangria. Tenerife was only island I ever heard about from the Canary Islands and not being sure whether this would be an ideal destination for me, I decided to research the things you can do in the Canary Islands. I’m kinda happy with what I discovered. 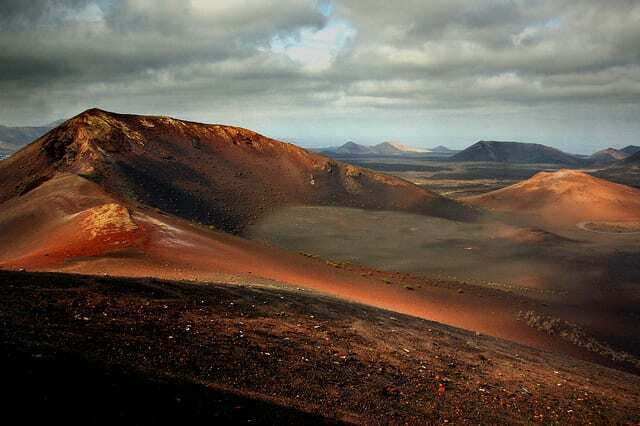 The lunar landscape of the Timanfaya National Park was created by a volcanic eruption that covered about a third of the island in the 1700’s. You can hike through the Fire Mountains (Mountains del fuego) and experience the heat of the dormant volcano. At the beginning of the park guides will demonstrate the power of the heat by setting a bush on fire and creating artificial geysers shooting up into the air. An interesting way to see the park is by taking a 25 minute camel ride. We recommend this tour here. 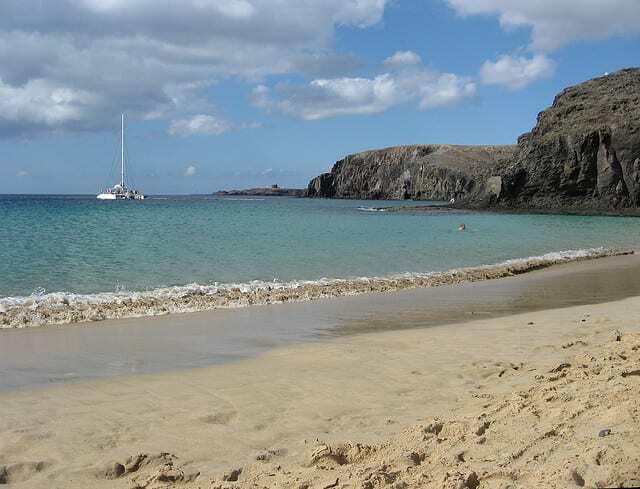 Go luxury catamaran sailing to the golden beaches of Papagayo on Lanzarote. You can relax with drinks and fresh fruit as the boat sails to Papagayo. The Captain and crew are happy for you to help trim the sails and take the helm- could be interesting to see where I end up taking us. Lunch is served on board at the beaches and coves where the anchor is dropped for swimming, snorkelling and Jet Ski rides. If you are lucky you will see dolphins and pilot whales on the sail back. Grab your tickets for this excursion here. 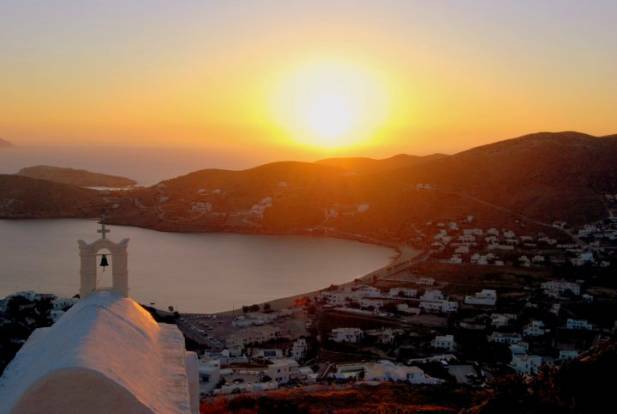 I love the sound of this relaxing day on the water and it reminds me of sailing around the Greek Island of Paros in the same way. Mount Teide is one of the largest volcanoes in the world. You can walk to the summit through the National Park exploring pine forests, giant craters and a lunar landscape. Kalyra is mad on volcanoes so I think she will love getting this close to one. We may have to get the cable car up to the summit with her though! If it is a clear day you will get to see some of the other Canary Islands. Enter a different part of the world through a spectacular 400 hectares stretch of sand dunes along the coastline of the island of Grand Canaria. 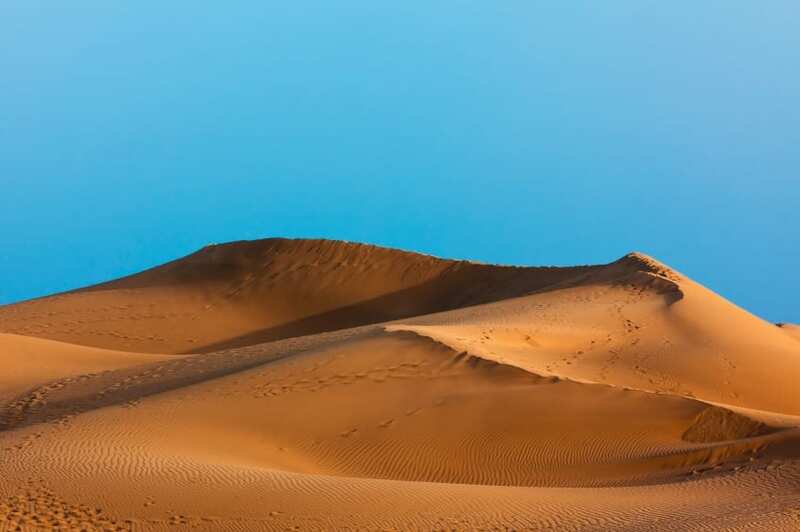 The sand dunes were designated a National Park in 1994 and you can only cross by foot or camel. The dunes also provide a habitat for a number of rare plant species, some of which can only be found in the Canaries – somehow they manage to survive in this arid environment alongside lizards and rabbits. 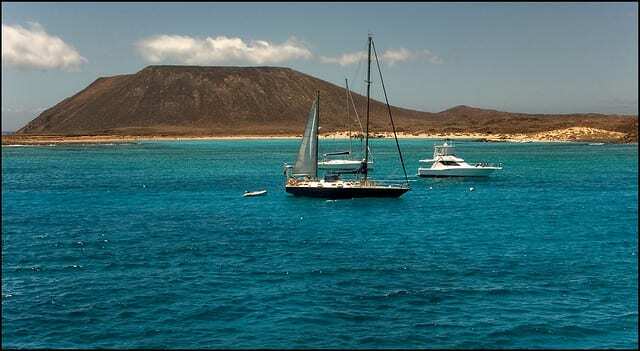 Tranquillity and natural beauty is how this island off the coast of Fuerteventura, a short boat ride from Corralejo, is described. The island of Lobos is a nature reserve and offers the chance to spot plants and birds not found anywhere else on the planet, surprising given its desert and volcanic landscape. It’s popular with day trippers and families and you can camp on the island for three nights with authorization. It’s an escape to crystalline waters and beautiful hidden bays and corners of serenity. Santa Cruz has been declared a Cultural Asset (historical-artistic site). I’d enjoy a day discovering why as I wander through its narrow cobbled streets, stopping at holes in the walls for lunch and maybe doing a little shopping. I love to take my children to UNESCO World Heritage Sites. I think its important they get to understand our planet and why it needs to be protected. 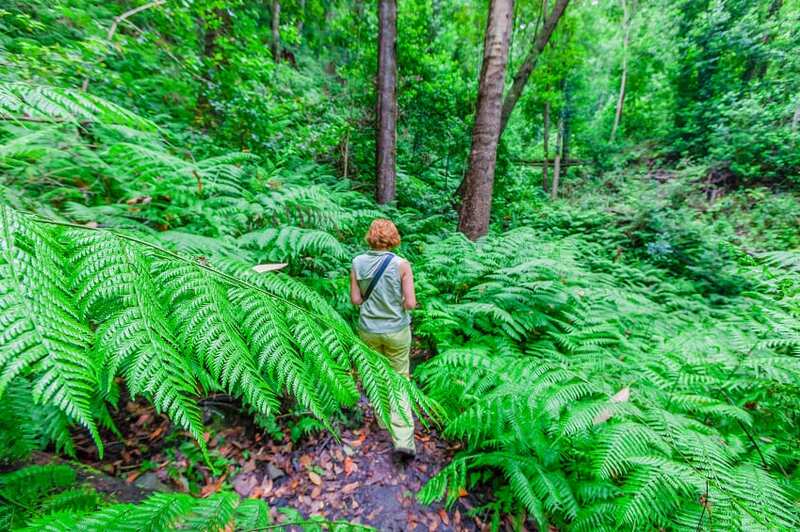 The Garajonay National Park, in La Gomera has one of the largest continuous areas of Laurel forest, a habitat that has almost disappeared from southern Europe and North Africa. The park has streams and springs which help give it lush vegetation that is not typical of the Canaries. Food is a big part of any destination you experience. Of course the Canaries will have much of the Spanish influence but they also have their own unique dishes. A favourite Canary favourite is Sancocho Canario, a salted fish, usually white, in a “mojo” sauce a spicy sauce that has a red and a green version. Of course I’m all about the mojo. 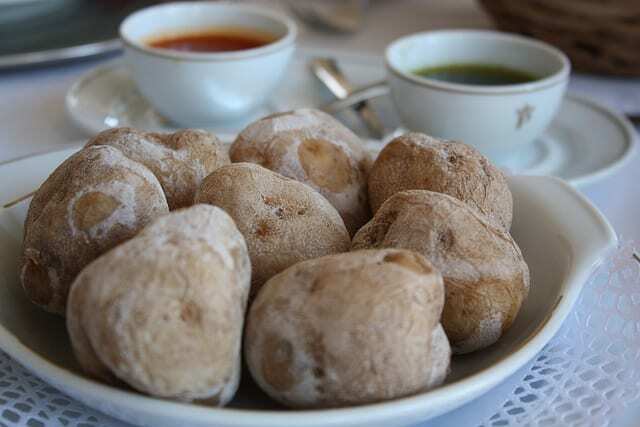 Papas Arrugadas – “Wrinkled potatoes” are a popular side dish consisting of small potatoes boiled in salt water until soft, leaving the potatoes with wrinkles and with a salty crust. What is it about islands and rum? Trust me I am not complaining, I can often be found with a mojito in my hand, particularly at sunset. So it seems as if the Canary Islands will cater to my rum obsession with their own speciality honeyed rum. I may even live it large a little and try thee banana liqueur and see how high the mojo goes then! 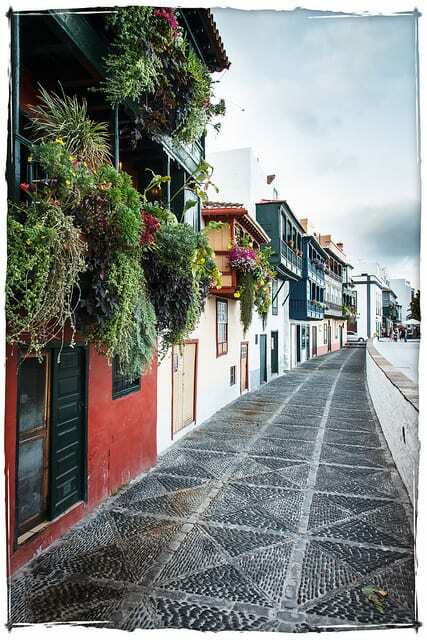 Want to see more of the Canary Islands..
Booking.com has over 17K properties in the Canary Islands. You get free cancellation on most rooms and a best price guarantee. Caroline Makepeace is the co-founder of yTravel Blog. She loves helping people unplug from the chaos, follow their bliss, travel more and create better memories. She has a free travel planning toolkit to help you do just that! Caz is the flighty Libran, bringing harmony to the family through crystals, meditation, and downward dogs (and the odd glass of wine at 5pm). It's all about the balance, right? Follow her on Instagram. We absolutely loved the Canary Islands. We saw the majority of the places you mention but our son hands down adored the Loro Parque on Tenerife. What an amazing experience for the family. Timanfaya looks stunning…and seeing it from the back of a camel? Yes please! I think anything seen from the back of a camel would be so cool! I’m thrilled you might come to the Canary Islands!!! Yay! I know that you know how much I love it here, and how very different most of the archipelago is from the usual European perception. I like that folk from other continents usually see it differently! Please ring if you come!!!!! Ahhhh. Was just here in the Canaries in Fuerteventura and LOVED it. Couldn’t believe how cheap it was. Rare for me to have such love for a popular vacation destination as it is. That is very cool to know Spencer! Thank you for letting me know, it sounds amazing.Great to hear that it is cheap too. 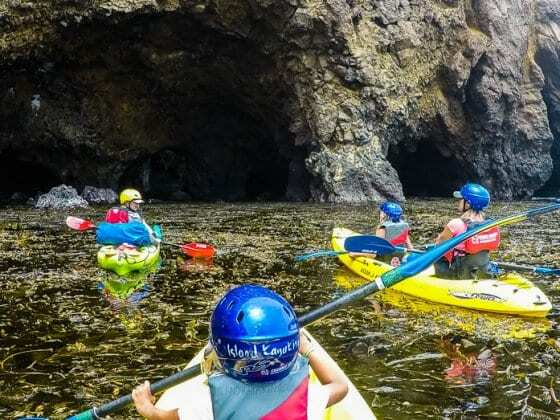 What a great introduction to the Canary Islands…I LOVE any island that’s rugged and unspoilt and this sounds like it’s just the ticket…been meaning to visit! Maybe you could post the link for your readers ? Interesting list Caz, I didn’t know that all of those things were possible on Las Canarias. Did you get a chance to hear the silbo by chance? We are taking a fred olsen cruise on 20th Dec hich will sail from Tenerife, La Palma, La Escata, La Gomera and then Arrecife in Lanzarote. Unfortunately we only have 1 day at each island (9am to 6pm). Please can you recommend the absolute must sees? We are more interested to see nature, water and the towns. a. Tenerife: Loro Parque and Las canada & Teida. b. La Palma: Saltpans and north of island. d. Arrecife: Fire ountains and James del Agua. I think i amreally short on time and would appreciate a help from you or your readers. Keep on traveling and inspiring! Have you guys been to Fuerteventura? It was one of those island that had always been on my traveling plan but had somehow never visited. But after reading this other article from https://www.canaryislandsinfo.co.uk/fuerteventura/places/ makes me more willing to do some last minute changes on my travel list. they say that the waves in Costa calma and Playa de Sotavento would make a perfect for surfers and many water activities. And if your not into some water ation I’m very sure that theirs a lot more to do in this fine island. Great Article.. If I never lived on the Spanish Mainland, the Canary Islands would be where I would be.. Spent a season there and loved every minute of it..
Canary Islands hit with beach bums, happy hikers and culture vultures.Great place to spend together as a family in Canary Islands.The volcanic landscape of Mount Teide National park really looks like something out of Interstellar and looking forward to visit Canary Islands and will definitely hitch a camel in Maspalomassand dunes. Thanks for lovely post and pics. The Canary Islands offer some of the most unique landscapes in the world. I can vouch for Tenerife – with Mount Teide (tallest mountain in Spain) dominating the island and allowing the south coasts to enjoy warm temperatures and Sunshine even during the winter months. Besides Mount Teide with its beautiful sculptured volcanic landscape , other highlights of the island include the Anaga Rain Forest and the spectacular Masca / Teno area. Visited the much smaller island of Lanzarote – more laid back, less traffic, nice volcanoes, lovely old capital town and could do some mountain biking. Making our first trip to Gran Canary in August. As a big fan of wine and rum, I’m looking forward to exploring around the island to see how they producer theirs, but also kicking back with some tasty local cocktails. Did you visit any wineries or distilleries?